Today... Scattered showers before noon. Mostly cloudy, with a high near 51. 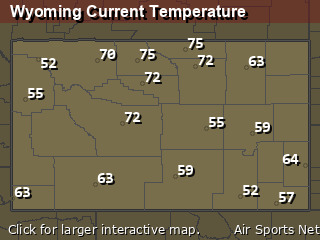 East northeast wind 9 to 11 mph. Chance of precipitation is 40%. Tonight... Mostly cloudy, with a low around 32. East wind 3 to 6 mph. Tuesday... Sunny, with a high near 61. North wind 5 to 9 mph. Tuesday Night... Partly cloudy, with a low around 37. West wind 7 to 9 mph. Wednesday... Mostly sunny, with a high near 61. 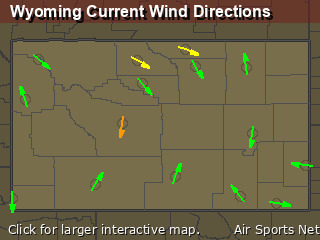 West southwest wind 9 to 14 mph. Wednesday Night... Partly cloudy, with a low around 39. Friday... A chance of showers, with thunderstorms also possible after noon. Partly sunny, with a high near 66. Friday Night... A chance of showers. Mostly cloudy, with a low around 39. Saturday... A slight chance of showers. Partly sunny, with a high near 62. Sunday... A slight chance of showers. Mostly sunny, with a high near 65.